The Blu-Ray/DVD of “The Dark Knight Rises” was recently released, so I thought I’d revisit one of my favorite film series. The re-imagined Batman trilogy is social philosophy in disguise. Producer and director Christopher Nolan took a classic comic book hero and gave him the most realistic, engaging setting in which to blossom. The emotions are weightier, the problems more complex, the darkness deeper. Amazing moviegoers with an incredibly developed origin story, Nolan and crew released “Batman Begins” with great focus on the questions of morality, justice, and the power of symbolism. Bruce Wayne repeatedly expresses his conviction to wear the mask of Batman because of the strength of symbolism. The mystery of a hidden identity allows him to be bigger than an individual. A man can be killed, but a symbol remains imprinted in people’s psyche. A symbol can strike fear into the hearts of those who use fear to control the weak. Wayne’s sense of justice was born out of the unjust loss of his parents at the hand of a product of Gotham’s corruption and poverty. When I viewed “The Dark Knight” upon its theatrical release in 2008, the gravity of evil and justice come to the forefront. Archenemy the Joker challenges Batman not to a duel of physical strength so much as a battle of wits. The Joker is such a frightening character because he’s man with nothing to lose, and anarchy to gain. As a self-proclaimed “agent of chaos,” he skirts the edges of insanity to remind the citizens of Gotham how evil people can become. Joker banks on the depravity of humanity, always assuming the worst of them. In “The Dark Knight” interrogation scene, Joker scoffs Batman’s commitment to justice, and warns him that Gotham will reject Batman as a freak as soon as he’s no longer a needed rescuer. Joker mocks Batman’s refusal to kill his enemies, even the direst of circumstances. His sense of vigilantism is brazenly strong up until the point of killing the wicked, even if his anger urges him to cross that line. Is Batman weak for stopping short of killing even criminals who deserve it? Can real justice be served by letting both petty thieves and mass-murderous villains live? Is he putting too much faith in the judicial system to have criminals tried and sentenced? In “The Dark Knight Rises,” Wayne is faced with even more dismal outlook. As an aging cripple, his hope has nearly expired. Yet his love for the city of Gotham drives him to endure, to regain strength, and to return to face the very evil that broke him. The League of Shadows returns to destroy Gotham with a different mode of warfare: economic. As they manipulate the stock market to acquire great power over the people, anarchist socialism erupts. Because the League wants to restore “balance” to the city by removing the corruption of the wealthy and elite, they empower the people to take back control of Gotham. With this newfound permission, the people attack and loot the wealthy for all they’re worth. A people’s court is established, with consensus rule by the gathered crowds. No trial is held, but defendants are sentenced to exile or death. This brings up the question of the moral quotient of certain economic systems. Some would argue that the best system for the “greater good” is socialism, while others would argue that capitalism provides the most freedom to succeed. Regardless of one’s persuasions, Nolan’s Dark Knight trilogy proves to be ample fodder for conversation about what’s best for society and the philosophies at play in our world. As always, feel free to keep up with me as I write my own book (sign up for my email newsletter by clicking here). What sort of philosophies did you see in The Dark Knight trilogy? Hey great blog! 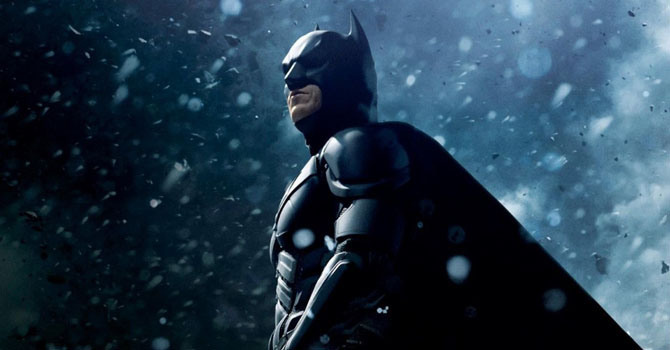 I loved The Dark Knight Rises and featured it on my best of 2012 list here http://thedavidryan.wordpress.com/2012/12/07/the-best-and-worst-movies-of-2012/ take a look!